We live in a world where the entire fall season revolves around a fine blend of artificial pumpkin flavoring paired with nutmeg and clove. Although delicious, that pumpkin spice ice cream and cookies are loaded with sugar and unneeded calories. If you still long for the spice of the season without harming your diet, check out these delicious recipes. It’s a great way to enjoy a Saturday morning with the kids. And they’ll learn more about ingredient substitutions to make yummy and healthy snacks. 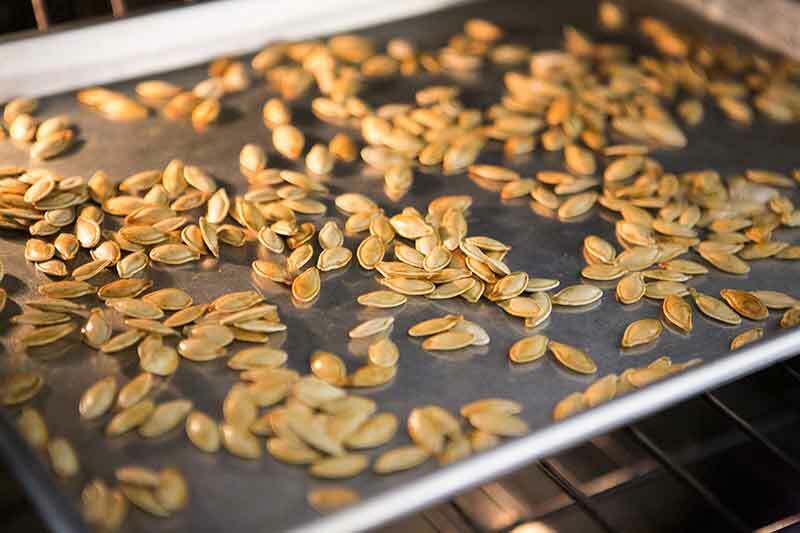 Baking pumpkin seeds coated with a small amount of oil and a seasoning of your choice gives you flavor and reduces the amount of waste from the pumpkin you carved. The seeds have a high-nutrient content. These tiny, tasty delights consist of potassium, protein, calcium, iron, magnesium and vitamin D. Due to the fiber in them, they’re beneficial to the digestive tract and cardiovascular system. We recommend seasoning them with garlic or onion powder and a hint of sea salt. If you have more of a sweet tooth, sprinkle them with a natural sugar like Stevia. Bake on 300 degrees Fahrenheit for 40 minutes. You’ve probably heard the negatives of eating white bread, but this recipe will change your entire impression of bread. You may use an unseasoned pumpkin puree from a can, but for a fresh taste with all of the nutrients of pumpkin, opt to make your own by cooking down the inside of the pumpkin and using your blender or food processor. Mix the following ingredients in a large bowl: flour, baking powder, baking soda and salt in a large bowl. Whisk both forms of egg, pumpkin, oil and brown sugar in another bowl, then stir in the pumpkin mixture. Put the batter in a standard bread pan and bake on 350 degrees Fahrenheit for 50 minutes. Checkout the original recipe. You probably thought cookies couldn’t be healthy, but this recipe will change your mind. 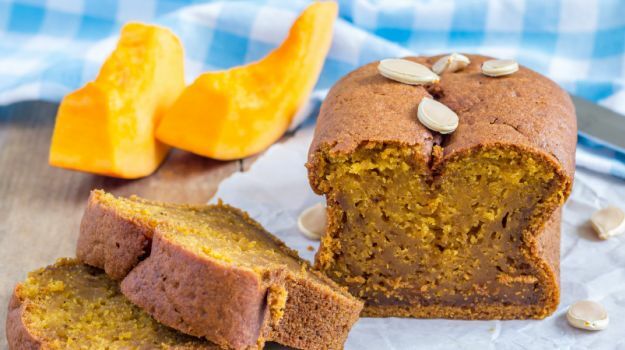 It uses all-purpose flour, whole-wheat flour, allspice, ginger, nutmeg, cinnamon, baking soda, salt, baking powder, dark molasses, raisins, eggs, egg whites, pumpkin puree, canola oil and Stevia. 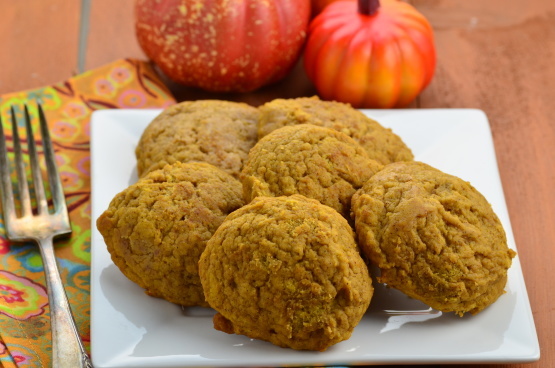 You may use an unseasoned pumpkin puree from a can to simplify the recipe; however, it’s not hard to make sure own. 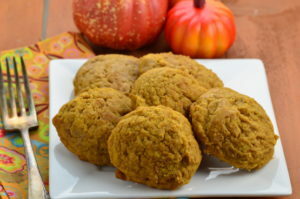 You just have to bake cut up pumpkin pieces and blend. Whisk both forms of flour, baking soda, salt, cinnamon, ginger, nutmeg and allspice together in a large bowl. Mix in the wet ingredients until they’re blended together completely. Spray your cookie sheet with cooking spray. Use a tablespoon to measure scoops to put on the cookie sheet. Leave 1 ½ inches in between each cookie. Bake on 350 degrees Fahrenheit for 10 to 12 minutes. You should switch the from top to bottom midway though the cooking time. Checkout the original recipe.